Adobe has two major new products in free public beta right now – Adobe Edge for developing HTML5 animations (like Flash Pro but outputs HTML5) and Adobe Muse which allows designers to create websites as easily as creating a layout for print. Adobe says interest in these betas has far exceeded their expectations. So what’s the difference between Muse and Dreamweaver, Adobe’s existing tool for creating websites? Well, with Muse you can build cool sites without coding (see impressive examples), whereas Dreamweaver is for users with greater technical orientation. So while you can do more advanced things with Dreamweaver, often you can (very easily) do just what you need with Muse, and have it look great. Both tools will be shipping in their first official release in 2012. And while it’s been known for a while that Muse would be “subscription-only,” we now know too that Edge will likely follow the same path. Furthermore, neither will be included in the Creative Suite. 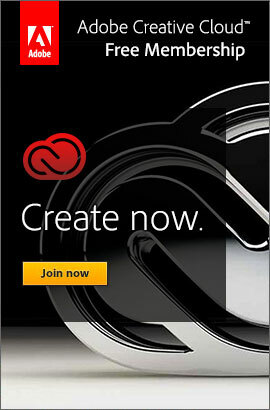 At a recent Adobe Analyst meeting during the question and answer session, it was revealed that Adobe is planning for both new design tools to be available only via subscription or through their optional “Creative Cloud” software rental offering – and neither will be a part of CS6 – in other words, they will only be sold separately. And while this cloud model is optional, two of the persistent questions so far have been: How are the Acrobat and Lightroom products affected by all of this? Both of these tools have historically different release schedules from Creative Suite – and while Acrobat is included in the suites, Lightroom is not. 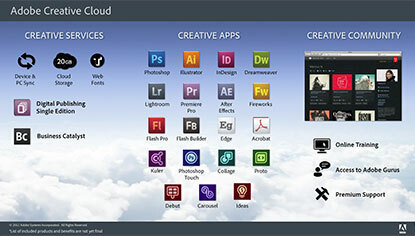 Looking back, CS5.5 launched in May 2011, Acrobat X in November 2010, and Lightroom 3 in June 2010. The next question then is, will either of these two popular standalone products be affected by Adobe’s new upgrade policy? It was the major focus of the first day’s keynote address, and then different components of it were covered in greater detail in a number of the later educational sessions. Adobe CTO Kevin Lynch describes it as an optional membership-based program formed of three pillars: Creative Services, Creative Community, and Creative Applications.